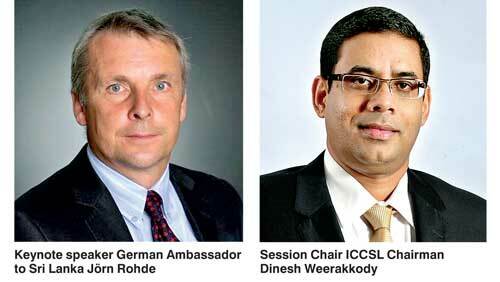 International Chamber of Commerce Sri Lanka (ICCSL) together with National Human Resource Development Council (NHRDC) will be hosting a joint discussion forum where the keynote presentation will be delivered by German Ambassador to Sri Lanka Jörn Rohde. The Ambassador will be presenting on ‘Germany’s dual Vocational Training System: A model for other countries’. This forum will be held at the Cinema Lounge, BMICH on 14 February. The German vocational education and training system, also referred to as the dual training system, is recognised internationally due to its combination of training embedded in a real-life work environment. The dual vocational training system is firmly established in the German education system. The primary characteristic of the dual system is cooperation between organisations, on one hand, and publicly funded vocational colleges, on the other. This cooperation is regulated by laws and regulations. Trainees who undertake this dual system spend part of each week at a vocational college and the other part at companies ensuring the industrial training and exposure. This dual training usually lasts for two – three and half years. In Germany, about 50% of all school leavers go through vocational training provided by business organisations which consider that the dual system is the best way to acquire skilled group of employees who will be assets and key drivers in an organisation. In Sri Lanka, similar model has been practiced following the German dual training system. National Apprenticeship and Industrial Training Authority (NAITA) and the Ceylon German Technical Training Institute (CGTTI) follow the same principle of training while following theoretical learning which provide the framework for better employable recruits. The keynote presentation will be followed by a panel discussion which will be moderated by ICC Sri Lanka Chairman Dinesh Weerakkody. Panellists will be distinguished members of the business community. They will share their expertise in this area while addressing how Sri Lank could also benefit from such a dual training system. DIMO Lanka Chairman Ranjith Pandithage, Nestle Lanka PLC Managing Director Shivani Hegde and University of Moratuwa Vice Chancellor Prof. Kapila Perera will participate in the panel discussion.